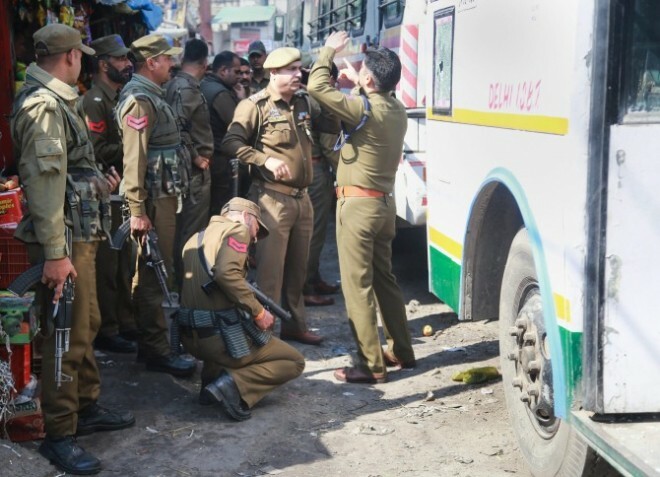 Jammu, March 7: At least 18 people were injured Thursday in a grenade attack by suspected terrorists at the crowded general bus stand in the heart of the city, a senior police officer said. This is the third grenade attack by terrorists in the bus stand area of the city since May last year. The scene of the blast along the BC Road was sealed off by police and a massive hunt has been launched to nab the grenade thrower, Inspector General of Police, Jammu, M K Sinha said. Sinha, who immediately rushed to the scene to take stock of the situation, said the preliminary investigation suggests that someone lobbed the grenade, causing injuries to 18 people who were evacuated to the Government Medical College hospital. Windscreens of a parked state road transport corporation bus were damaged in the blast, a police official said, adding the condition of one of the injured was stated to be "critical".